The St James' by the Park Electoral Roll is the list of people who are allowed to vote at our Annual Parish Church Meeting to elect members of the Parish Church Council (PCC). We encourage everyone who is baptised, over 16, and a regular member of our church fellowship to be on the Electoral Roll - it is one way to help shape the life of our church, and through our church, to help shape the life of the Church of England at local, regional and national levels. The church electoral roll is not the same as the electoral roll which entitles people to vote in local and national elections. Sign up to the electoral roll online here. One of the questions asks if you live in the parish or not. 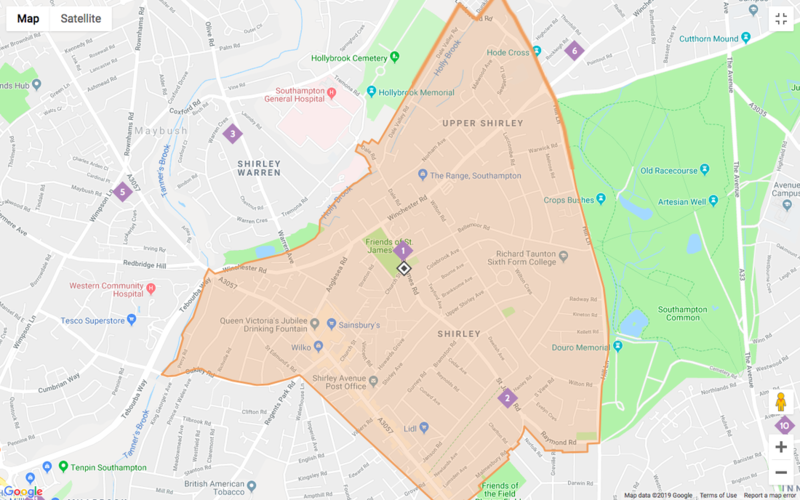 If you're not sure whether your home is in the parish, check on the image below, or you can zoom in to that map by clicking here.